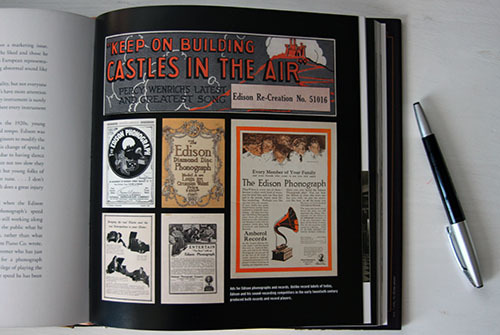 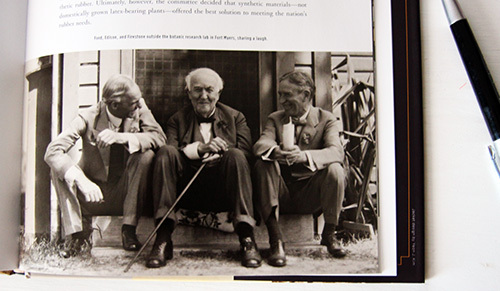 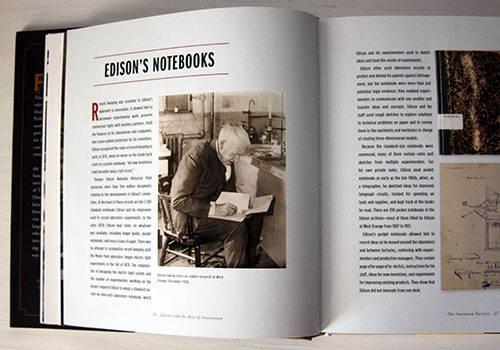 “Edison” presents, in intimate detail, the man who helped engineer the modern world. 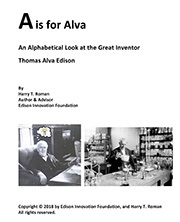 One of history’s most prolific inventors, and perhaps America’s first celebrity, Thomas Alva Edison did more than bring incandescent light into every household and industry; he created a world-renowned brand, raised capital to support research and business, and pursued patents for his 1,000+ inventions. 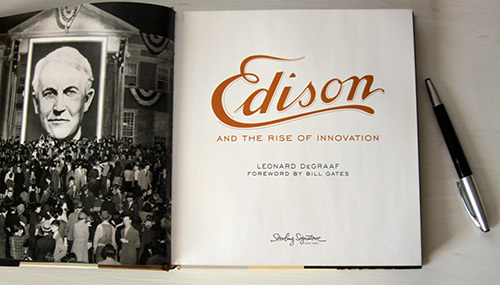 Leonard DeGraaf, archivist for the Thomas Edison National Historical Park, chronicles Edison’s life and work, making lively and lavish use of never-before-published primary sources, including Edison’s personal and business correspondence, lab notebooks, drawings, and advertising material, along with both historic and modern photographs. 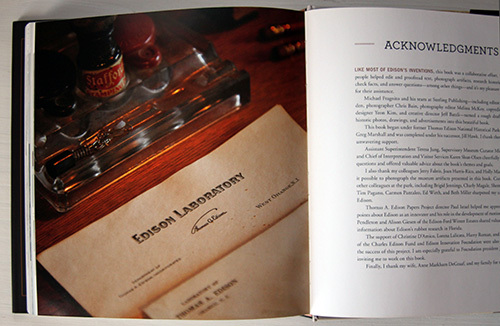 Enter to win one of two beautiful, hardcover, illustrated editions – each signed by the author, Leonard DeGraaf. 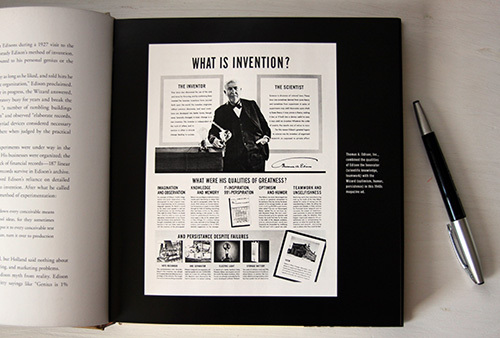 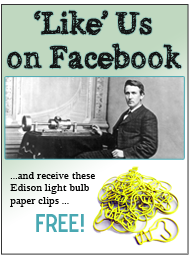 Each book will also come packaged with Edison-themed lightbulb paperclips and a brief pocket biography. 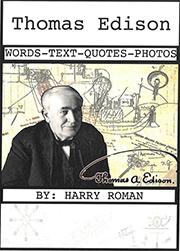 Giveaway ends February 10, 2014. 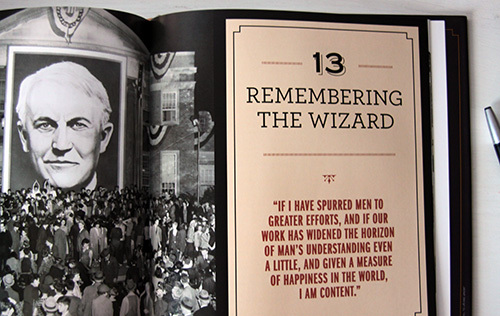 NOTE: This book can also be purchased at Barnes and Nobles or Amazon. 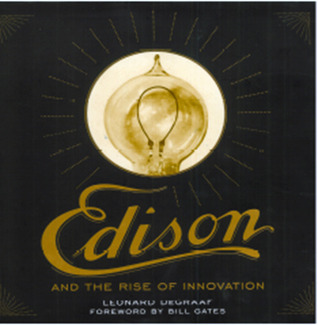 This entry was posted in Giveaways and tagged Edison and the Rise of Innovation on February 4, 2014 by Edison Innovation Foundation.